The American kids cannot be fully blamed for being ignorant about personal finance, as their parents often pay all the bills online. But passing the bar is not a solution to this ever rising problem. So, the question arising here is that who would teach these kids about money. Schools have many other things to teach and parents usually do not feel the need. There are no special classes to which a child can be enrolled, so that he/she may be able to learn about mortgage and income or even retirement accounts. Experts hence put forth some very important things which the child must be taught before he/she leaves the nest. It is very important for you to make a record of all the spending done. Whether you are going out for shopping or even a casual dinner, keep a track of everything in you diary. This would further make the kids fix priorities and chose from a bunch of things. All parents must motivate their kids to save from the little they get as pocket money or by working part time or even make it mandatory for them to save, telling them they would not be allowed to work else. Make sure you spend and earn in such a way that you always have a positive net income. But wherever you spend, make sure you do it carefully and thoughtfully. Make intelligent choices and teach your kids that any additional dollars spend unwisely actually show your lost investment potential. Keep away from useless excuses of using you credit card. 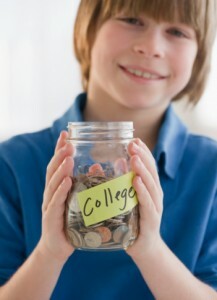 When starting out, make sure you do not go for futile expenses as this is what your kids are going to learn from you. People often tend to think that a sale would offer things at a much lower price, but this is not always the right thing. Post queries online, go for online price-aggregator sites and visit consumer websites. Since the very beginning teach tour kids some ways to seek the best prices. Who does not wish to make constant tech upgrades buy a new car every 2 years and redecorate and remodel their home every third year. For the ones who can afford it, it is fine for them. But for the ones who end up in debts actually leave a very different lesson for their kids. We all are very lucky to be a part of the social-media generation and this is why we all must be used to the ritual of including our personal finance into our everyday life. Tell your kids all that you have achieved so far which you once dreamt of. Ask them what all they wish to seek in the future, ask them about their dreams.